Jeremy Stevens' first experience and participation in the world of renaissance reenactment was at a little Pleasure Faire in Southern California circa 1989. Unfortunately, he only got a taste. An immediate hiatus of over a decade was happily spent with the United States Marine Corps and later as a Police Officer. 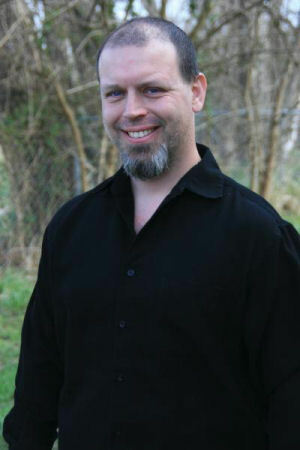 During that same period, Jeremy earned his Bachelor's from the University of Tulsa in Engineering Physics. After creating a more controlled world for himself, and coincidently the birth of a new Oklahoma based Renaissance Faire, it was easy to reignite the passion for make believe. Following several years of patronage, he was ready to take the leap and joined Red Griffin in 2003. He has created many characters and specializes in playing the bad boy. Jeremy is often seen as a front man on the chessboard, but feels his main contributions come from script-smithing and fighter dialogue.